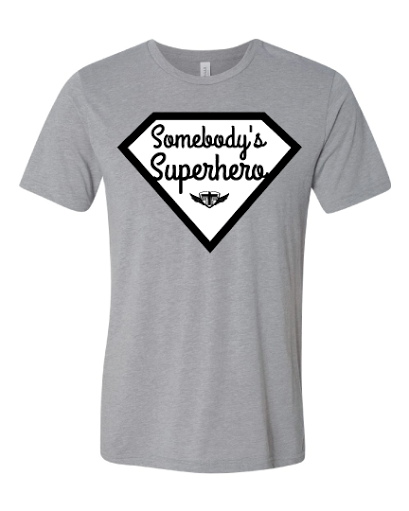 Home › FTF Blog › New Somebody's Superhero Tees! Real superheroes can't fly. They don't have super strength. They can't vaporize bad guys with lightning bolts. They don't have claws or shields made of indestructible metal. They can't shoot webs from their wrists or wield intergalactic hammers. And they certainly aren't invincible! But real superheroes can protect good people from evil. They can lead by example and be positive role models for others to look to for guidance. They raise our youth to be exceptional citizens. Many of them work behind the scenes, most of the time thanklessly and without recognition, to do what needs to be done to make the world a better place. 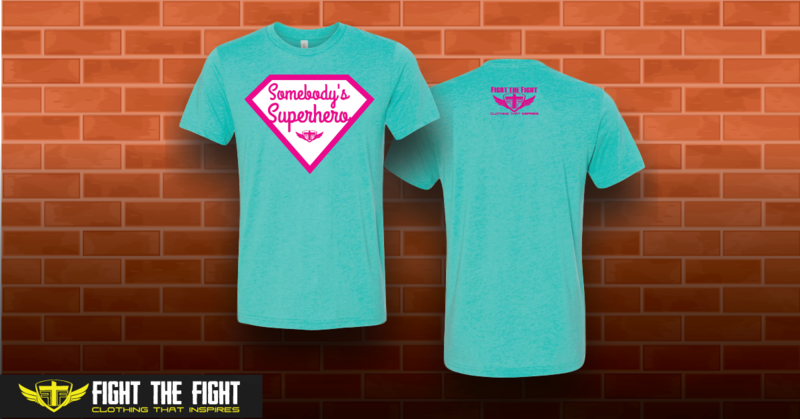 Real superheroes are regular people just like you and me who choose to use the time, energy, and abilities they've been given in this life to help others around them! 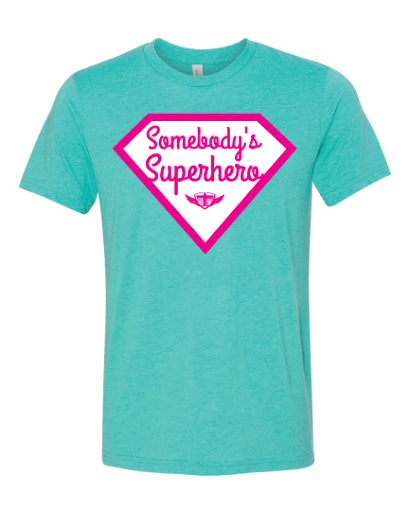 Whether we realize it or not, everybody is somebody's superhero! 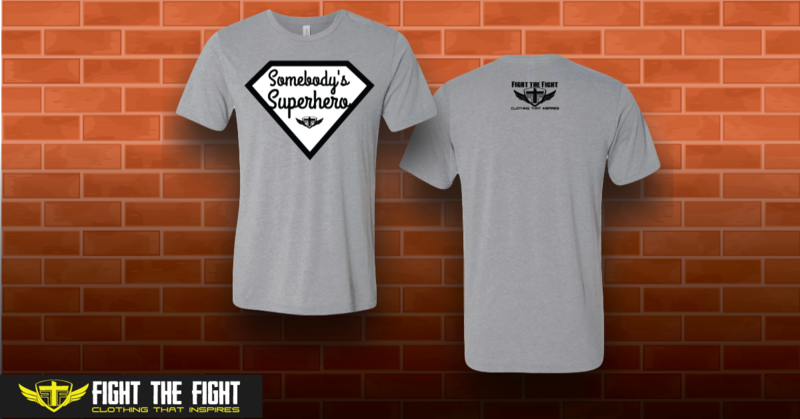 Now you can show appreciation to the superheroes in your life by gifting them one of our new "Somebody's Superhero" tees. They are made of high quality, super soft triblend material in unisex sizing. Two color options are available as displayed below. 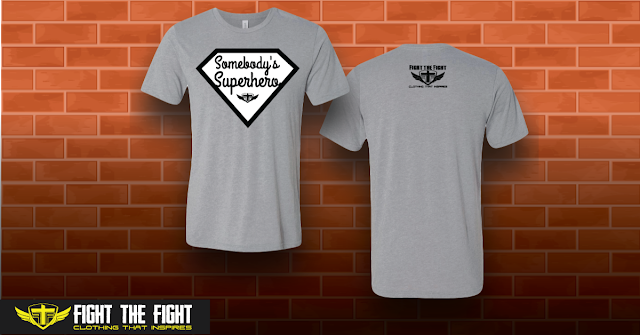 These tees are only available for Pre-Order until midnight on Sunday, May 29th and are guaranteed to arrive before Father's Day on June 19th! "hero" to receive 5% off your order. "You're going to make a difference. A lot of times it won't be huge, it won't be visible even. But it will matter just the same."